Every horse race has the power to provoke delight on the one hand and despair on the other. 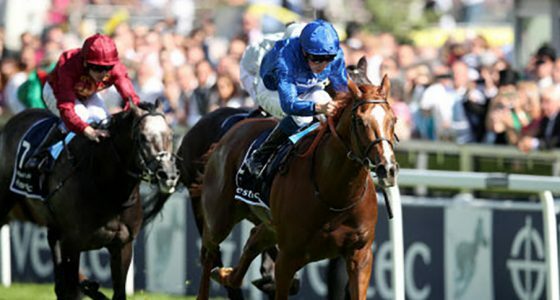 Ascot’s King George VI and Queen Elizabeth Stakes, which is sponsored by QIPCO, one of Britain’s most prestigious open-age Flat race, certainly did that in 2010. The delight came with Harbinger’s extraordinary 11 length victory, a performance of such brilliance that the colt was immediately rated as the best Flat racehorse in the world. Despair followed soon after, when Harbinger fractured a leg while out training and was forced to retire without racing again. Harbinger’s awe-inspiring victory over the 1 mile 4 furlong course (2,400 metres) was effectively a non-event, in stark contrast to the 1975 running. Grundy’s epic win over Bustino was dubbed “the race of the century” and set a new record time for the race which stood for 35 years…until Harbinger came along. In 2012 the first ever German-trained winner emerged in the shape of Danedream, while Novellist made it two German-trained winners in a row in 2013. Then the first three-year-old filly won it since 1976 in the shape of the John Gosden-trained Taghrooda. In 2017, Enable, another filly trained by Gosden, was a superb winner. The ‘King George’ was first run in 1951, following the amalgamation of two other middle-distance races. In the early 70s, the word ‘Diamond’ was added to the title after the start of De Beers’ sponsorship. 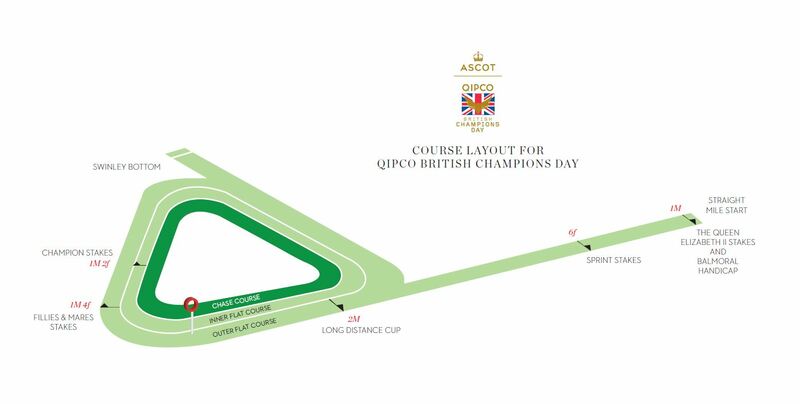 Today’s backers are QIPCO, with the prize fund reaching £1 million in 2009. 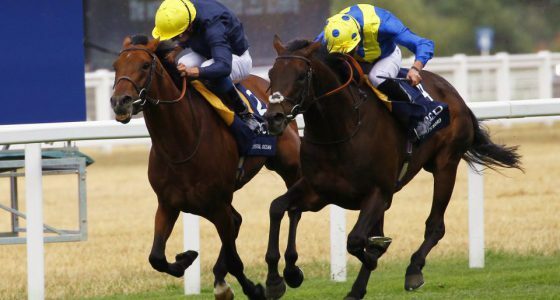 Poet’s Word provided Sir Michael Stoute with a record-breaking sixth success in the £1.25 million QIPCO-sponsored King George VI and Queen Elizabeth Stakes at Ascot. Disappointment that Cracksman was declared a late non-runner, because of the fast ground, evaporated as Poet’s Word and James Doyle ensured a memorable ending in mastering stablemate and favourite Crystal Ocean. Having tracked the early pace cut out firstly by Salouen, then Rostropovich, it was to be the Newmarket handler’s eventual runner-up that would be the first to set sail for home, shortly after entering the home straight in the Group One prize. For a moment it looked as though Doyle had given the Prince of Wales’s Stakes winner too much to do to catch William Buick and Crystal Ocean, but after reducing the gap the pair fought out a colossal final-furlong battle, before the 7-4 shot prevailed by a neck. The pair pulled nine lengths clear of Coronet, with Salouen another four lengths back in fourth. Stoute, who first won the King George in 1981 with the mighty Shergar, said: “It was pity there was a loser. That’s how you sum it up. Doyle could have done a little bit better and got a dead heat! “They are two such admirable horses and it’s delightful to train them. I always felt he wouldn’t get there until the last 100 yards or so. 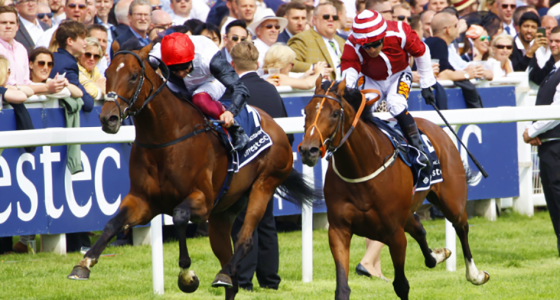 After clinching his first Irish Oaks last weekend aboard Sea Of Class, it was another landmark victory for the winning rider, who was claiming his inaugural victory in the mile-and-a-half prize. Doyle said: “You’ll be doing well if there’s a happier fellow today than me. “I left him a bit of a task, they went quick and I didn’t want to start chasing a position. It looks great, but if I’d been beaten a neck I’d have been really frustrated. There was a slight sting in the tail for both Doyle and Buick, after the stewards inquired into their use of the whip from around a furlong and a half out. Doyle was handed a four-day ban and Buick suspended for two days.